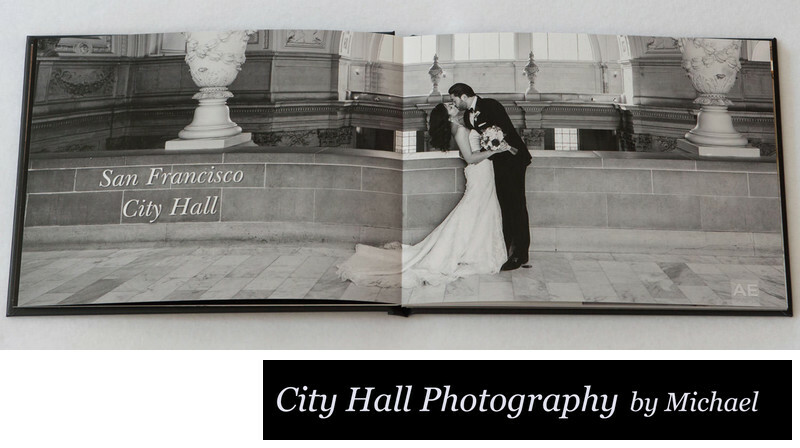 We offer a beautiful wedding album to display your City Hall wedding photos! 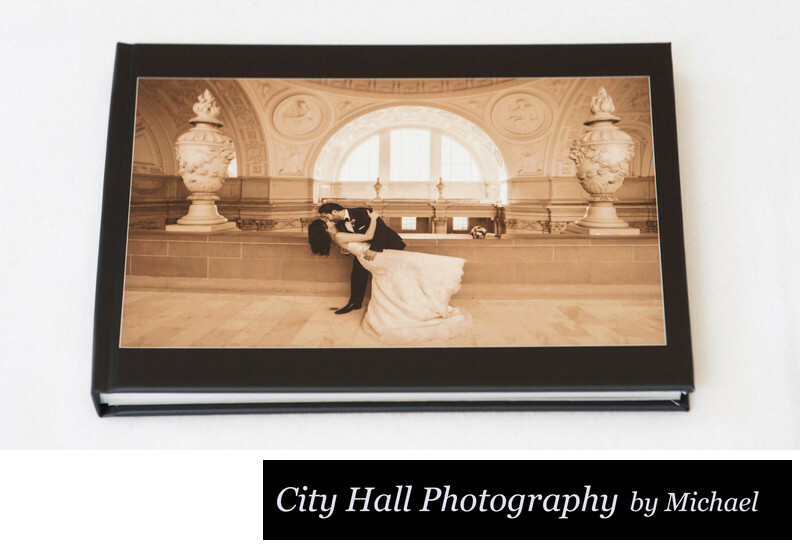 This 8X11 professional album made by Epoca is the perfect way to preserve and share your memories. 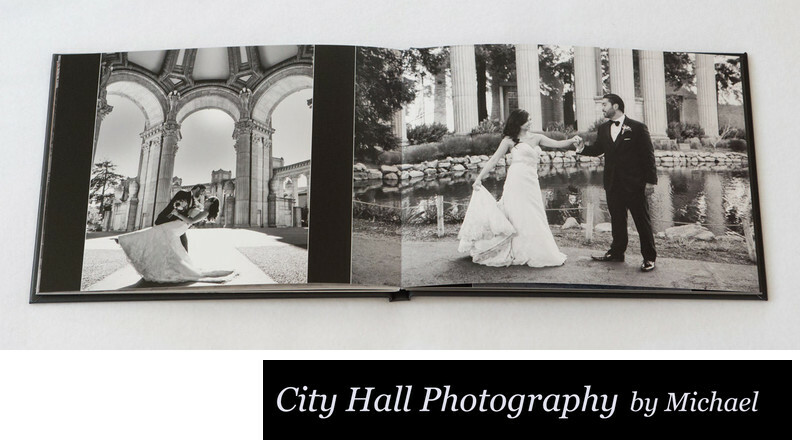 We believe that it is important for our clients to put their wedding photos in an album. Don't let your memories hide away on some forgotten hard drive somewhere! You can either choose one of our packages that include an album or order it as an option after the wedding. 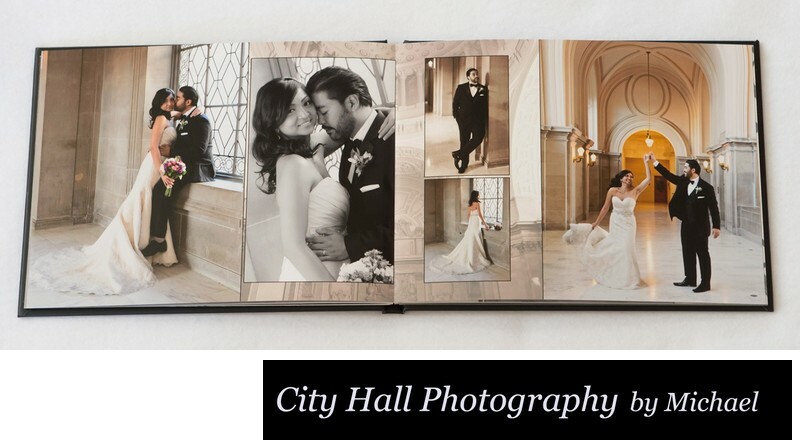 Both the Storybook and Ultimate Packages include this album, but it can be chosen as an option anytime after you have seen the wedding photos. Our standard size is 8X11 inches and 40 photos, but we offer many other configurations and sizes. If you decide you want this album or if it is included in your package, simply login to your secure, password protected online viewing site. Once you have logged on you can make a folder and call it "wedding album" and drag your favorite photos into it. We have access to this folder so to email us to let us know that you have completed your selections and we will do the rest! Once you have selected your favorite photos and dragged them into the appropriate folder we give your photos a second round of editing and retouching. We will remove distracting background images and exit signs in addition to any requested personal enhancements. We will also remove people from your backgrounds using Photoshop where possible. After completing your album design, you receive a large PDF proof which allows you to review our album design and make a few changes if needed. Once approved, the album is submitted for production and will take about 3 weeks for delivery. Below are a few photos of the album cover and some inside pages. More options and packages are available on our Pricing and Packages page.